DREAM HOUSE! 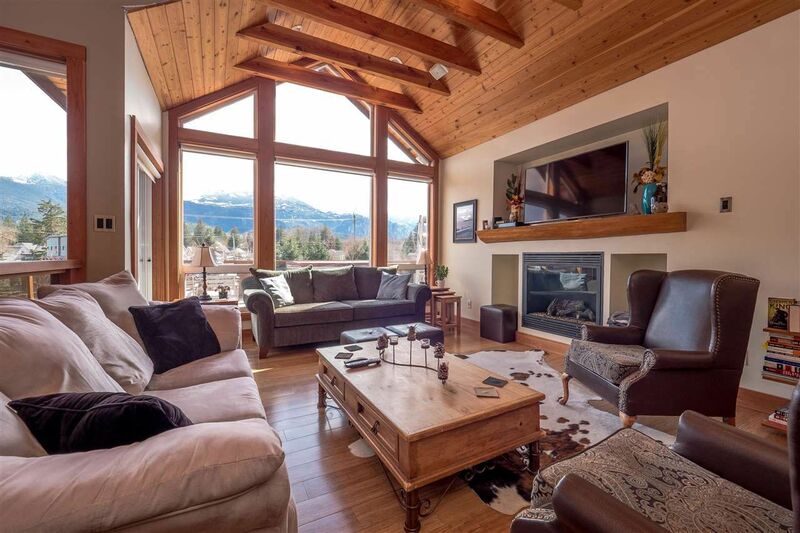 Vaulted ceilings in the living room look out on the mountains. 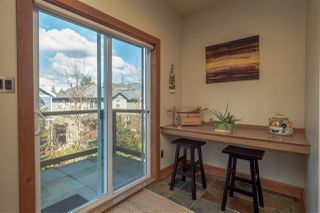 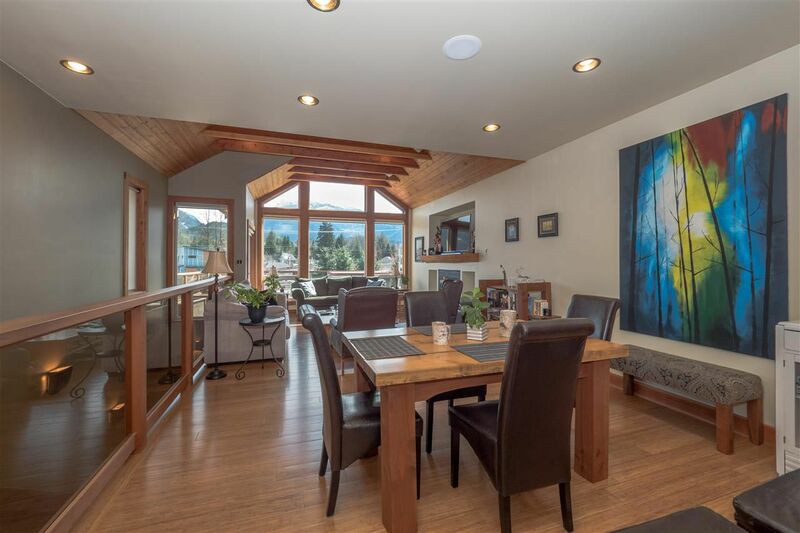 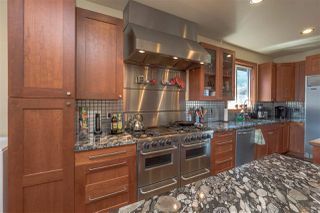 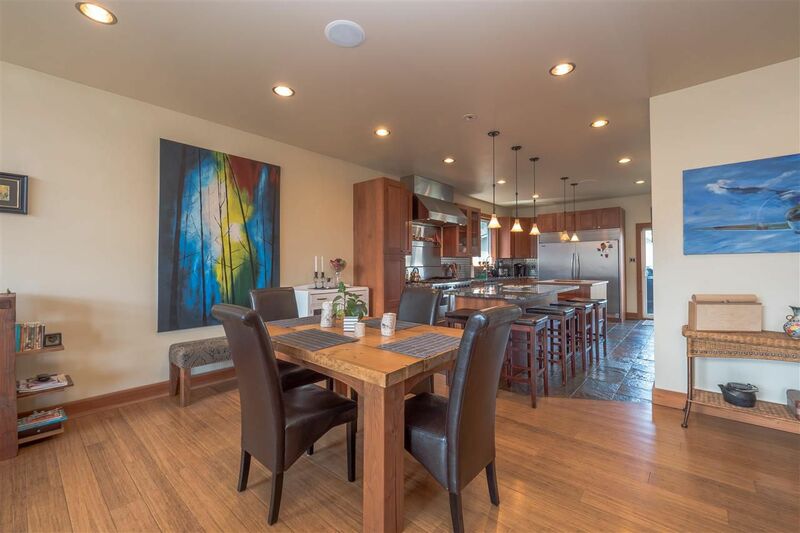 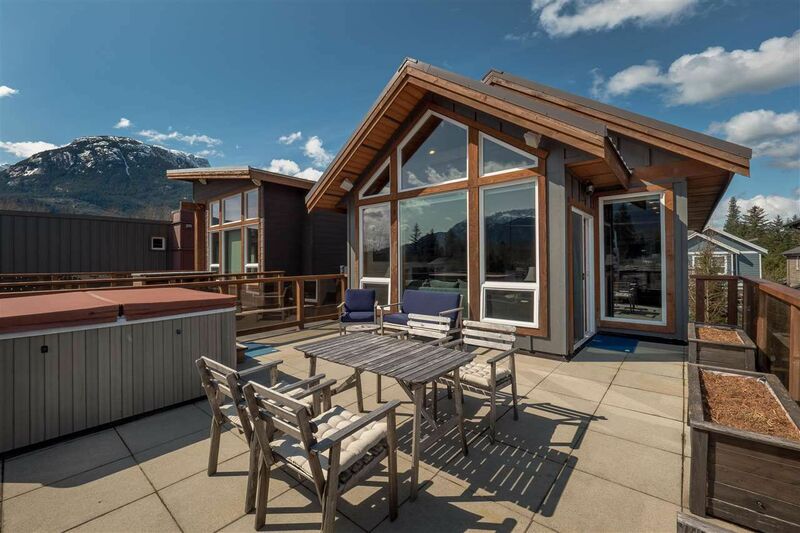 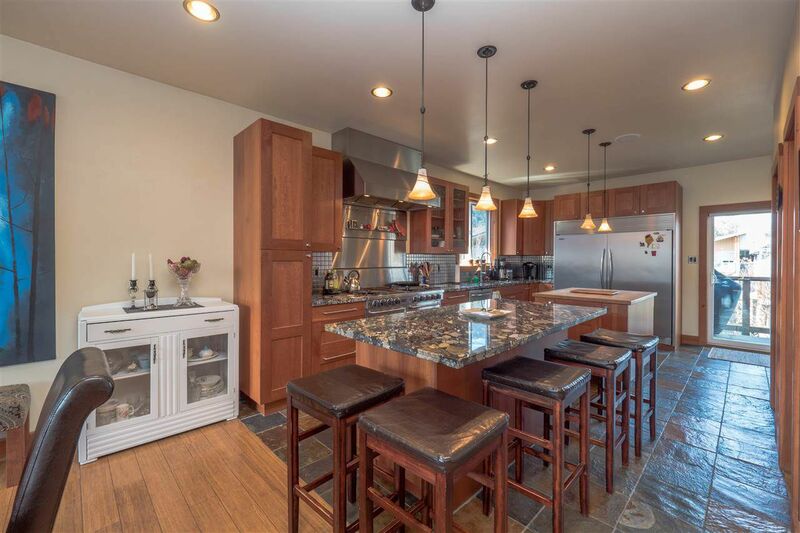 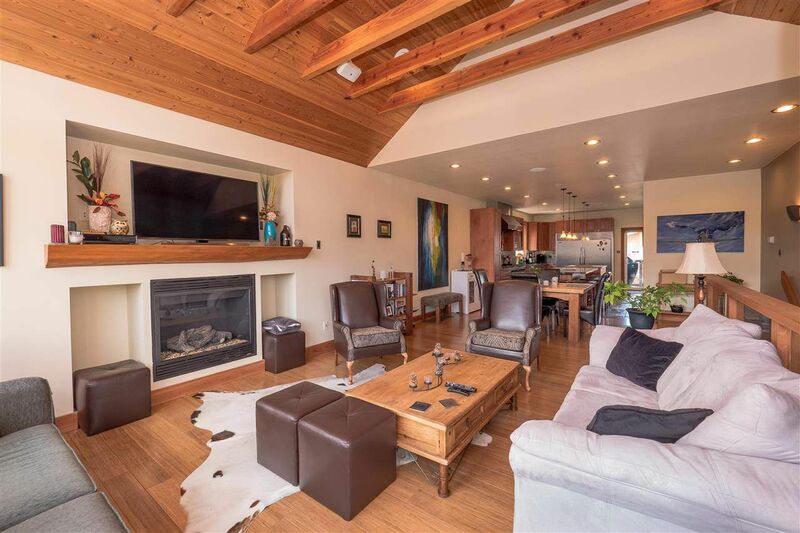 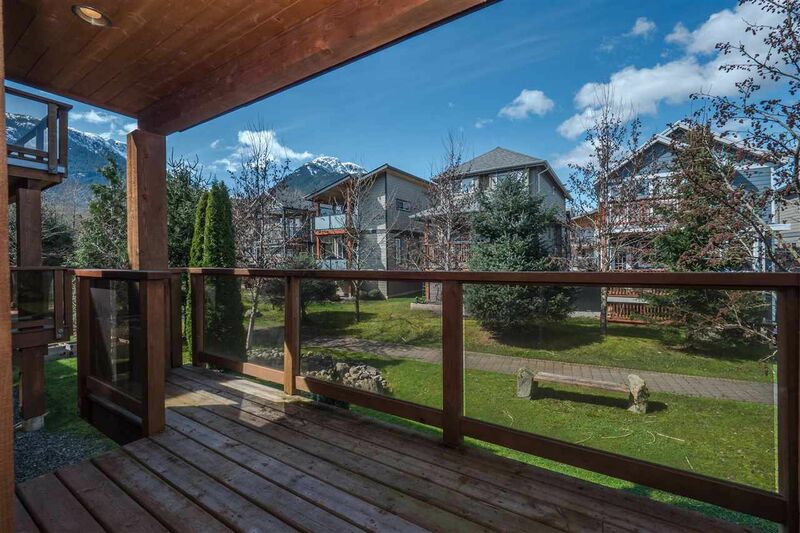 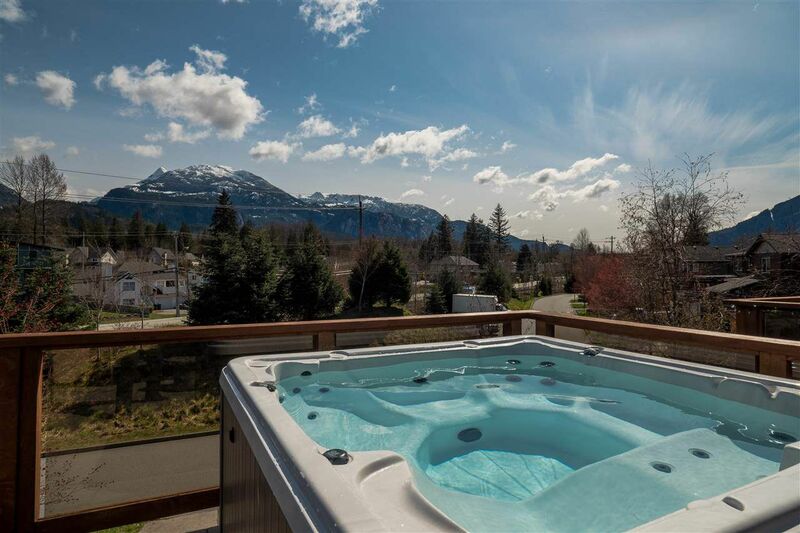 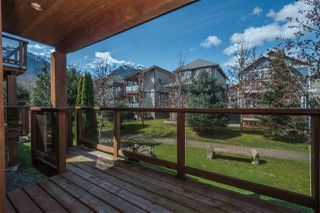 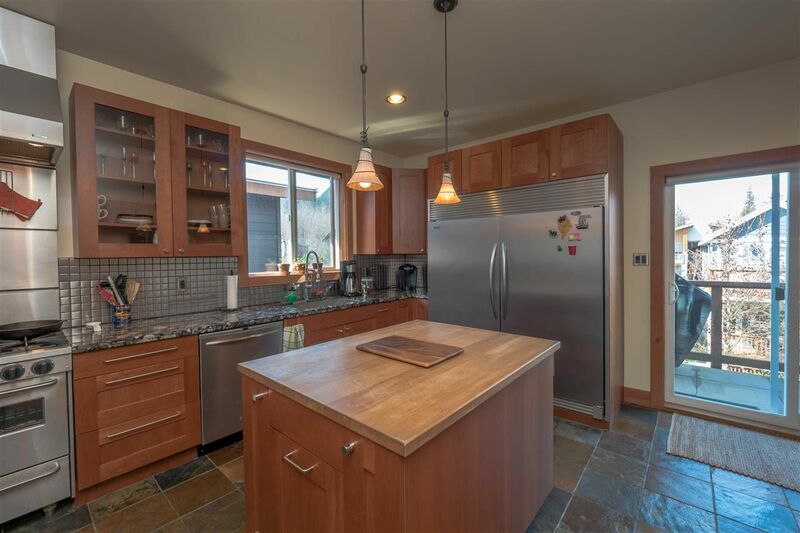 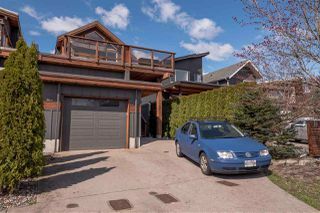 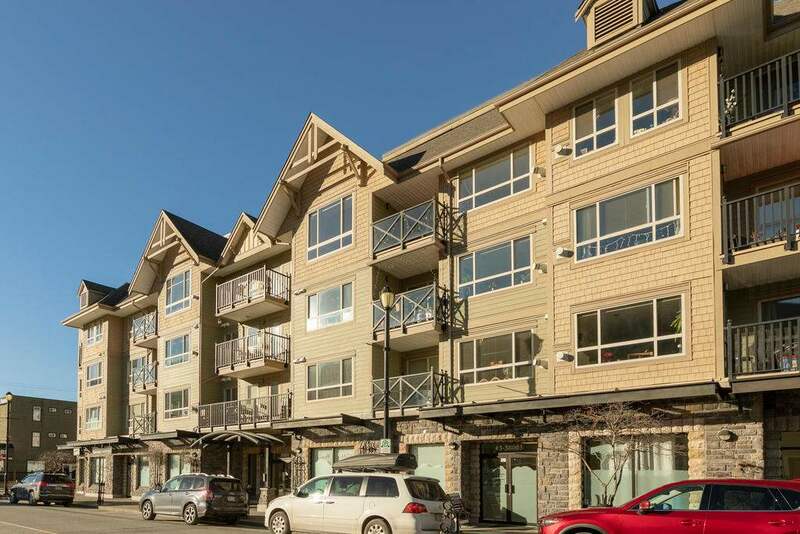 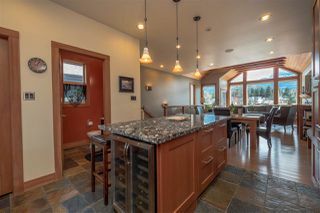 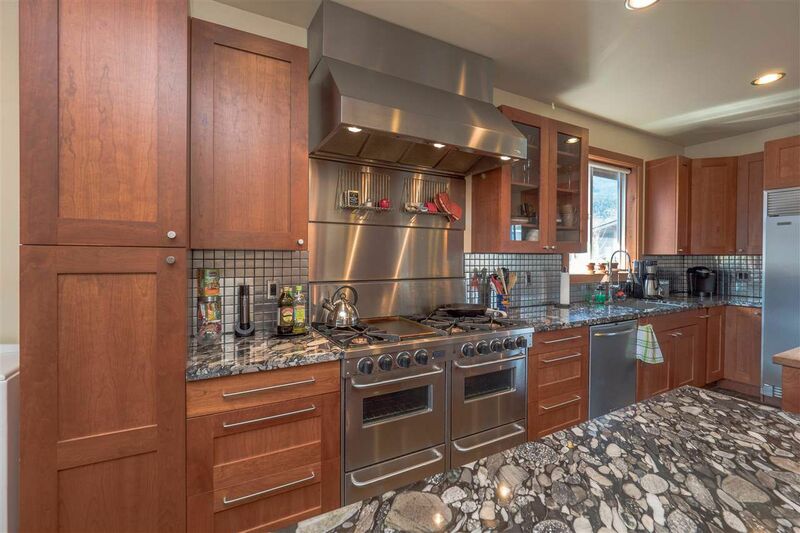 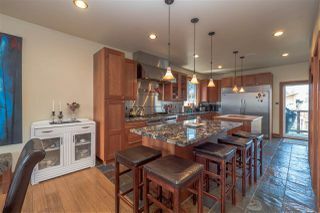 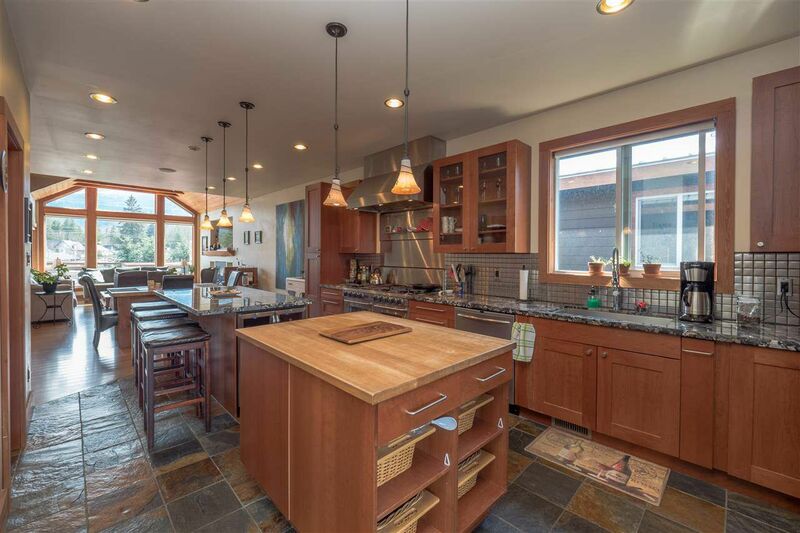 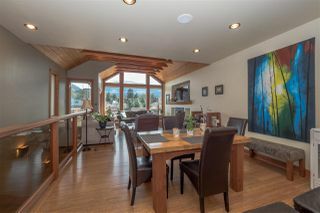 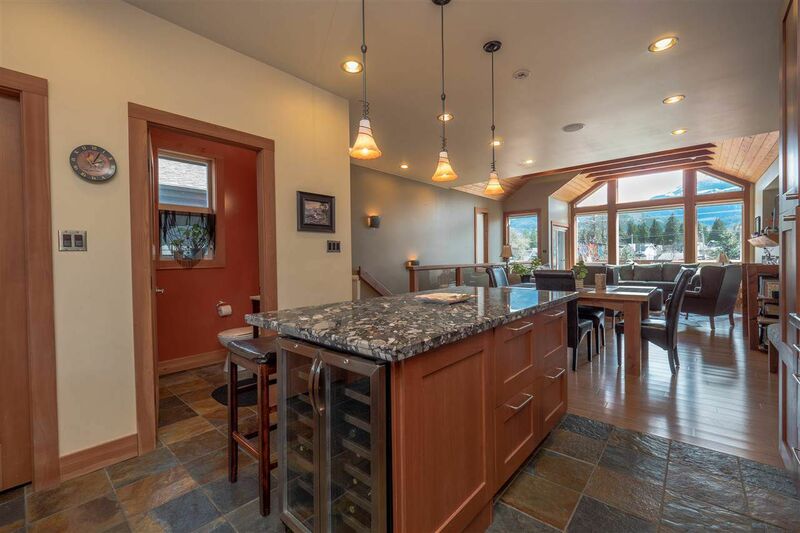 Post & beam Whistler style house w bamboo and slate floors, huge monster kitchen with 6 burner gas stove, real wood doors with fir trim, large flat double size fridge, granite counters, cherry cabinets, wine cooler and views from the entire kitchen dining & living area towards the mountains. 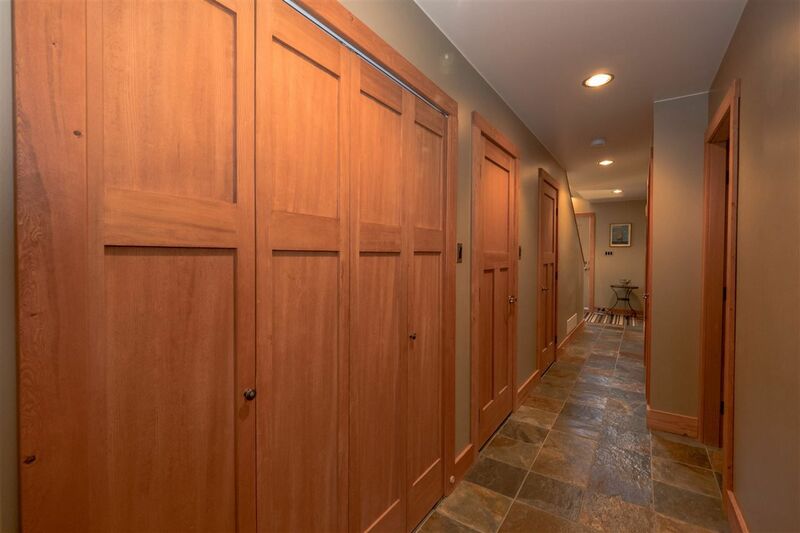 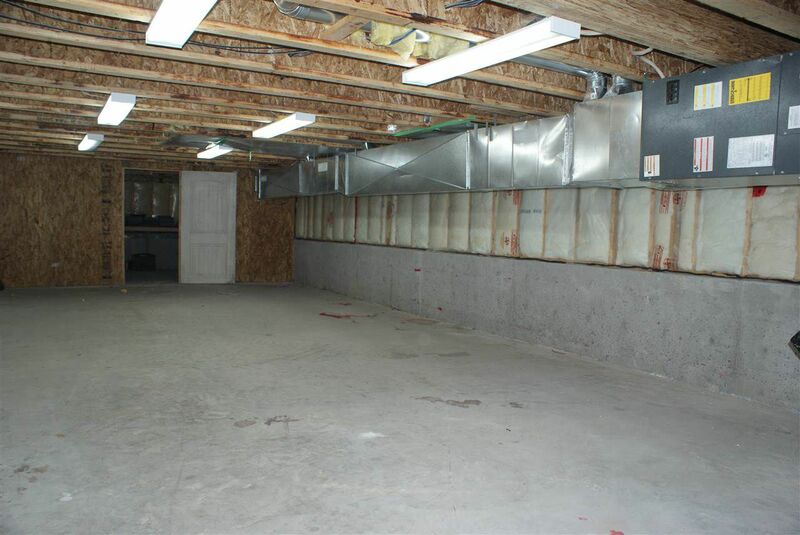 The super large double car garage has a work room that is as large as the length of the home. Metal roof, cement driveway and the neighborhood has a community gardens, walk ways and little benches through out. 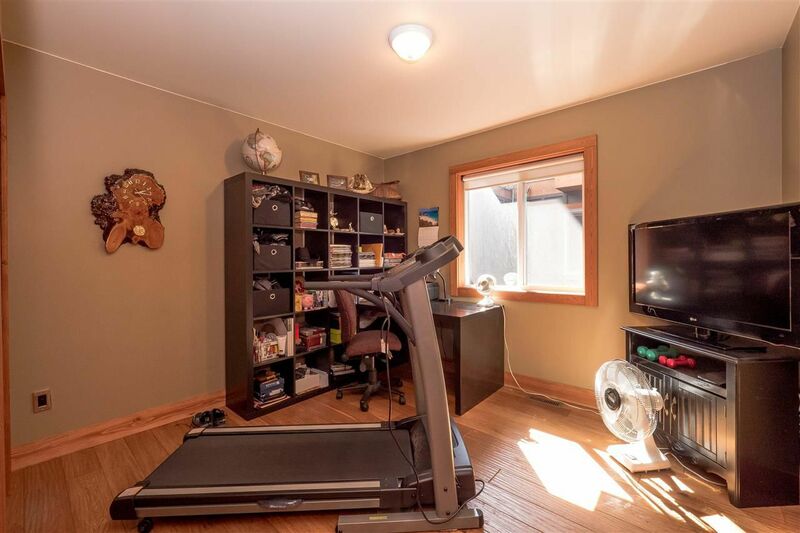 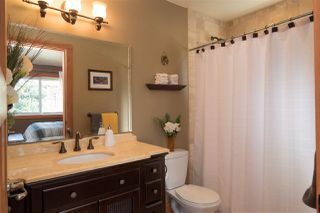 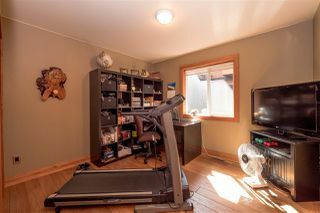 The home is in walking distance to the elementary school & all shops in Garibaldi. 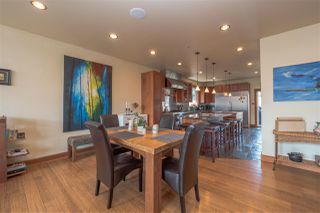 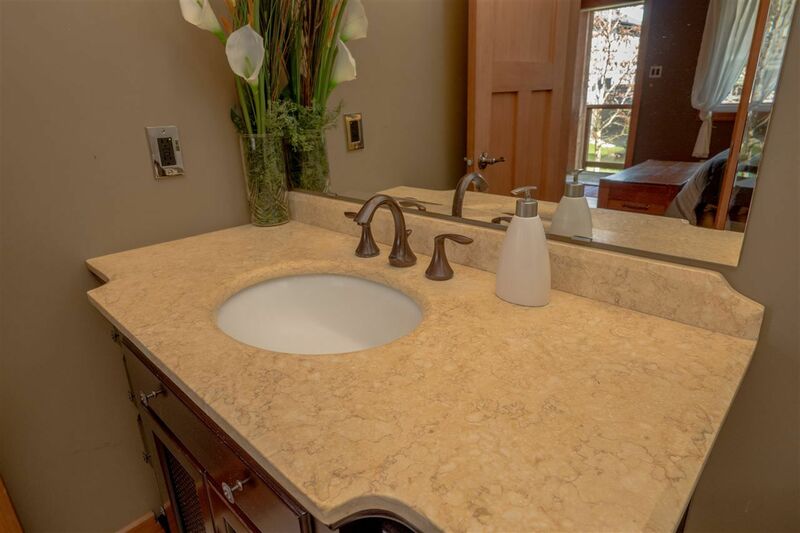 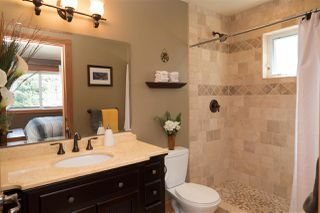 It is hard to describe this home it is a must see.